We were on the look out for Britain’s best amateur artist and asked you to send us your best paintings. 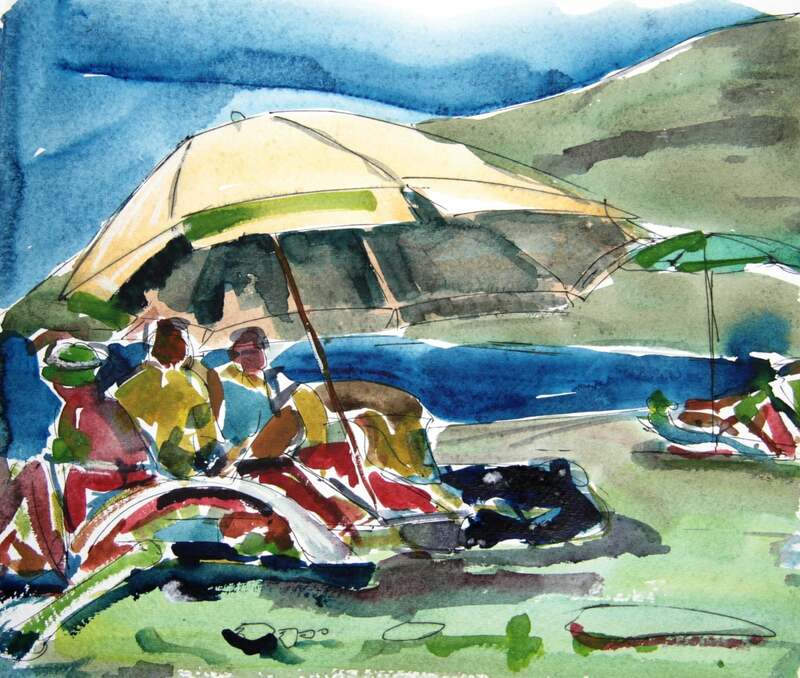 We accepted watercolour paintings, acrylic art or anything you felt like sending us – as long as it showed us what a painting holiday in Italy is for you. We received so many absolutely stunning images and the decision was hard to make. But, we have finally come to a conclusion and have chosen our top three paintings. To find out what our expert painting tutors said about the paintings and, of course, to see who won the big painting competition read on! Congratulations to Alan who came 3rd place in our painting competition with his beautiful watercolour painting of sandt Italian beaches. That’s what the expert said about the painting: bold use of colour, good composition, painted with confidence. 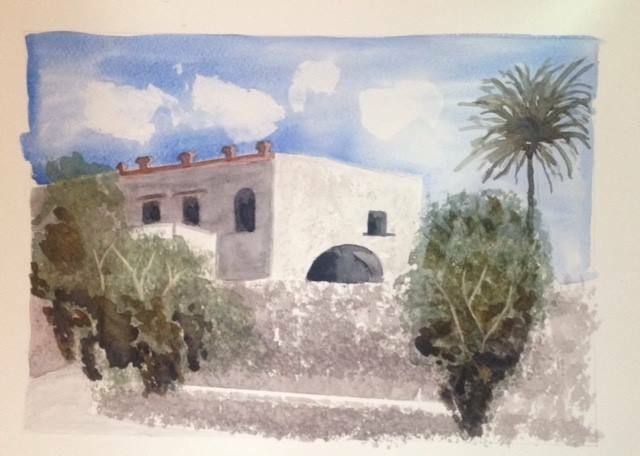 This picture is the runner-up in our big painting competition and shows the stunning holiday villa on our painting holidays in Sicily. Here’s what the expert says: This art piece has strong composition and captures the heat and dryness of the day through a well chosen palette. It was a tough decision but we did manage to choose a winner painting! 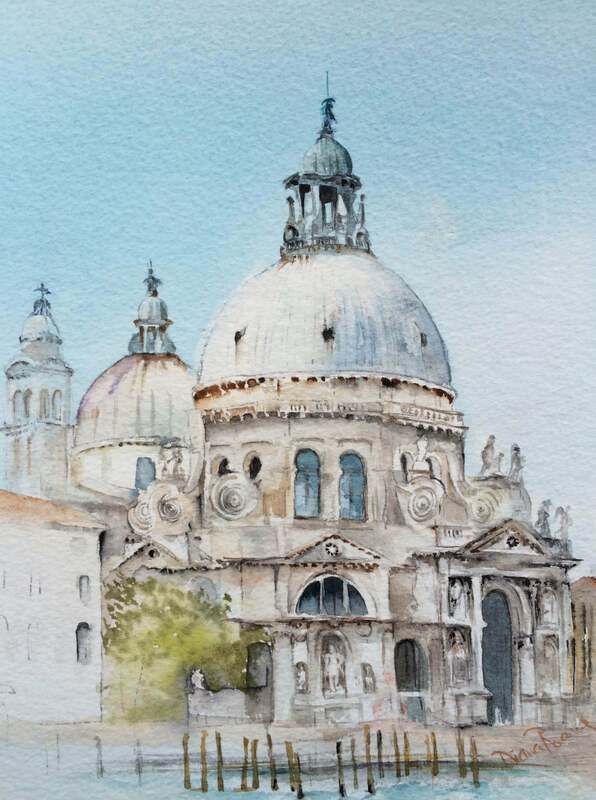 Diane has convinced our jury with her watercolour painting of the Santa Maria della Salute in Venice! Here’s what the expert says: A good range of technique, a strong image – all in all it’s just very well drawn. A big thank you to everyone who participated in our big painting competition, we enjoyed your Italian holiday paintings very much and really do think that all of them deserved to win! Unfortunately, we did have to choose one winner. If you want to find out more about our watercolour courses in Italy, then why not download our 2016 brochure here.